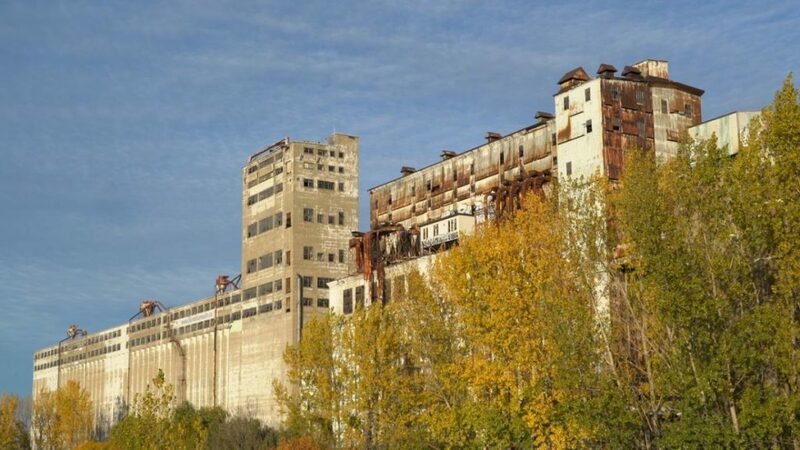 On February 1, 2019 in Montréal, Québec, Canada, the Canada Lands Company (CLC) and the Old Port of Montréal Corporation announced a request for proposals (RFP) process to revitalize the Pointe-du-Moulin and Silo 5 sector and transform it into an emblematic project for the city. “The time has come to breathe new life into Silo 5 and Pointe-du-Moulin. Today, we are launching the search for a project that reflects Montréal: ambitious, creative and proud of its rich heritage. This project will have a positive impact on the development of the city and improve its tourism offer,” said Mélanie Joly, Minister of Tourism, Official Languages and Francophonie. “The Government of Québec salutes the mobilization around this project, which embodies the widely shared desire to give Montrealers and tourists privileged access to the riverfront. The pooling of expertise of specialists and organisations dedicated to safeguarding heritage will guarantee the success of this important urban revitalisation process,” said Chantal Rouleau, Minister for Transport and Minister responsible for the Metropolitan Area and Montréal Region. “Through a rigorous process and the quality of the evaluation committee, CLC will be able to identify the best project that will transform the industrial sector of Pointe-du-Moulin and Silo 5, which has not been used for 25 years, into pride of place,” said Pierre-Marc Mongeau, Vice-President, Old Port of Montréal and Canada Lands Company (Québec) . Canada Lands Company Limited (CLC) is a self-financing federal Crown corporation in which the Government of Canada is the sole shareholder. Its mission is to obtain the best economic and community value from former government properties. CLC is also a recognized leader in attraction management. It operates the CN Tower in Toronto, the Old Port of Montréal, the Montréal Science Centre and Downsview Park in Toronto. “This is the beginning of a flagship project for Montréal and eagerly awaited by Montréalers. This is a strategic area of the city that is being revitalized to meet the needs and aspirations of Montréalers,” concluded Valérie Plante, Mayor of Montréal. Photo of Silo 5 courtesy of Canada Lands Company.